The Small Enterprises Development Agency (SEDA) presentation dealt with its Mandate, Performance per Programme, Performance Trends Analysis, Human Resources, Financial Information, Governance and Compliance, and Success Stories. Members welcomed the improved presentation from SEDA. However, concern was raised about the performance indicator to support only 872 cooperatives. This clearly demonstrated that cooperatives are not SEDA’s strong point and priority. Illegal remuneration of board members who were government employees came up again as a serious complaint by the Committee. Members questioned the irregular expenditure of R34.7 million for the National Gazelle programme. Other questions included the delayed pursuit of BEE status for SEDA and the need to directly seek an amendment to the regulations from the DTI Minister and the existence of the Learning Academy. The Chairperson emphatically noted that the answers given did not demonstrate a clear understanding of the difference between an SMME and a cooperative. Cooperatives are not SMMEs, cooperatives are a strategic pillar chosen by the ANC to transform the economy and facilitate the establishment of sustainable communities and to ensure that workers owned the means of production and communities have community enterprises. The mind-set has to change so that everyone understands what cooperatives are. SEDA’s mandate is not to develop existing cooperatives but to transform the economy through the establishment of cooperatives, and that is the understanding they all need to have. They need to revisit the mandate of SEDA. The Deputy Minister acknowledged the point made by the Chairperson and SEDA would respond when they next met. The Small Enterprises Finance Agency (SEFA) presentation focused on its Operating Environment, Strategic Overview, Operational Performance, Performance against Pre-determined Objectives, Financial Performance, Challenges, 2018/19 Strategic Focus, and Case Studies. SEFA has to balance organizational financial sustainability with increased developmental impact. The majority of SEFA clients are in the start-up phase and lack business sophistication and loan collateral to cushion the risk. The macroeconomic environment has hit small businesses hard. Less than anticipated level of approvals were achieved due to the subdued level of economic activity and demand for SEFA loan products. Members welcomed the improved presentation from SEFA. However, Members were concerned about the lack of support for cooperatives, especially in rural areas. Members noted that township based business targets were not achieved by SEFA and asked what SEFA is doing to remedy that. Questions were asked about the 2018/19 SME Innovation Fund and about the CEO Initiative that was announced in 2016 and about the wholesale lending model versus the direct lending model for disbursements of SEFA funds. The Chairperson welcomed the Deputy Minister of Small Business Development. She complained that the Committee is dropping the ball in terms of its mandate and it is unbecoming so many Members did not to attend such important meetings. The core business and mandate of this Portfolio Committee is to do oversight on the Department and its entities and scrutinise their performance. It is disappointing that most Members of the Portfolio Committee are not in attendance at this important meeting. She hopes the Members that are present in this meeting will raise this with their political parties. She hoped that the Deputy Minister of Small Business Development will also raise attendance with the Minister. Mr Cassel Mathale, Deputy Minister of Small Business Development, apologised on behalf of the Minister of Small Business Development, who will be joining the meeting later on. Dr Mzwandile Zwane, SEDA board chairperson, focused on Mandate, Performance per Programme, Performance Trends Analysis, Human Resources, Financial Information, Governance and Compliance, and 2017/18 Success Stories (see document). In terms of performance highlights in 2017/18, Dr Zwane said that there was 100% achievement for delivery on the shareholder compact. 3 829 clients were supported through technology support. 872 cooperatives were supported. 12 132 SMMEs were supported. 32.9% of SEDA employees were trained as per workforce skills plan. 50% of the targeted business processes were documented. R26.46 million was leveraged from strategic partners. 80.9% of SEDA’s budget was allocated to core delivery. 36% of the project quality management system was implemented. Service turnaround time was reduced by 39% through improved internal processes. Of 25 strategic indicators, SEDA performed well on 21 indicators which reflected an organizational performance of 84%. The underperformance was due to delays in getting the online portal ready. Now that it is fully operational, marketing efforts should result in improved performance. This relates to the Basic Entrepreneurial Skills Development programme. A number of clients dropped out of the programme before its completion as they expected to receive a cash grant at the end of the programme. The programme has come to an end. Assessment of current offices has revealed challenges in accommodating people with disabilities. Terms of reference for new offices are being revised to incorporate disability friendliness. Organizations supporting people with disabilities engaged for client pipeline. SEDA has identified 115 stakeholders that it needs to engage with. While discussions on collaboration with many of these are underway, only 25 of these have been reduced to memoranda of agreement. - Turnover of Business Advisors remains a concern, given the investment SEDA makes in developing them. - Work is being done on professionalising the sector. - Staff vacancy rate currently 4.97% which has been the trend for the past year. - About 75% of the staff is in the provincial network. - Significant part of National Office is in the Enterprise Development Division (EDD) and SEDA Technology programme, which are part of the core services. Mr Norman Msizi, SEDA CFO, said that the total revised revenue budget for SEDA for 2017/18 was R798.5 million. The budget split was Compensation of Employees R330.31m; Operating Costs R146.49m; Programmes and Projects R309.97m; Capital R11.63m. 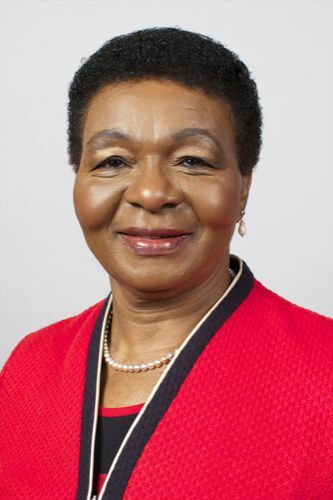 Expenditure amounted to R765.30m resulting in under spending of R33.20m (4.16%). Draft commitments up to 12 months were about R26.73m. Mr Msizi said slide 54 shows the expenditure comparison for the past three financial years and slide 55 gives an expenditure breakdown per programme for 2017/18. Mr H Kruger (DA) thanked SEDA for the improvement on its report. However, on page 7 of the report he noted that SEDA has supported only 872 cooperatives and considered that to be low in terms of SEDA’s target and mandate. Also on page 36 the pie chart of key client demographics, the performance on cooperatives development is 0%. This clearly demonstrates that cooperatives development and SMME assistance is not SEDA’s strong point and priority. Mr Kruger said there is a concern about the cooperatives in rural areas, which do not get help from government. SEDA needs to have a strategy to serve rural communities and capacitate SEDA workers to assist in rural areas. Mr R Chance (DA) noted on page 141 of the Annual Report deals with the board remuneration and that Mr Makhuvha is listed as one who is also receiving payment from SEDA. 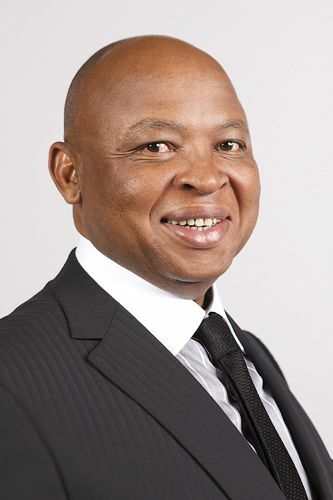 In his understanding Mr Makhuvha is no longer a board director at SEDA and has moved to IDC. He asked why Mr Makhuvha is still receiving payments from SEDA. Mr Chance noted on page 156 of the Annual Report that SEDA’s irregular expenditure amounted to R34.7 million. The National Gazelle programme amount was approved by management without complying with procurement processes, and which has been recorded as irregular expenditure. He asked why so much money was spent on irregular expenditure. Why was the Gazelle programme terminated? Mr Chance asked on the BEE status what the status is of SEDA’s application to the Department of Trade and Industry (DTI). Does the Learning Academy exist, which achieved accreditation for the first time as a provider of education and training on numerous programmes, and where is it located? The Chairperson asked what is meant by cooperative support, which is reflected on the performance trends chart as a key indicator on page 45 of the presentation. She asked what the skills levels at SEDA are in order to identify opportunities for communities to develop cooperatives. Dr Zwane replied that Mr Chance correctly pointed out that Mr Makhuvha as a government employee should not be remunerated by SEDA. It was essentially an oversight. They have engaged on this matter and have asked for an opinion. They have been made aware that some that serve on the SEFA board are government employees who are also remunerated for those services. Therefore, perhaps the oversight could have set a precedent in this case. So, essentially what they need is to get an opinion on this going forward. That is where they are at the moment. The Chairperson interjected by stating that honestly this matter is not being raised by the Committee for the first time, but it is actually the third time. This matter has been raised by this Committee and it is known by the SEDA board and the Department of Small Business Development, which is providing oversight of SEDA. The next question will be directed to the Department because there is no ambiguity on this matter, and there has been no ambiguity from the Committee on how this matter should be treated. When the Committee asks for the third time, we are saying SEDA is ignoring what the Committee is saying to you. The Chairperson said it could not be that if there is a precedent, it then becomes a provision of an Act. A precedent cannot be an Act, and they do not operate on precedents, but operate on the provisions of the Act. The response they are expecting here is why the SEDA board together with the Department ignored this Portfolio Committee on the payment of Mr Makhuvha who was not supposed to be paid. The wrong does not correct another wrong. Mr Chance agreed with the Chairperson and emphasised the point that Dr Zwane must not say they stopped paying Mr Makhuvha because they did not. And if they look at the accounts, R50 000 of the claim was made as a reimbursement not as director fees and this needs to be addressed. Mr Chance proposed that SEDA must provide a written report to the Committee on the matter of Mr Makhuvha and how it has addressed the matter, and also how that money will be repaid. The Chairperson noted that on page 141 of the Annual Report there are figures for the remuneration of board of directors where Mr Makhuvha has been paid director fees, travelling and reimbursements of R69 712 in 2017/18. Dr Zwane apologised to the Committee. He asked Mr Msizi to respond to this matter. Mr Msizi replied that the director fees were for April 2017. This amount was stopped subsequently because SEDA took guidance from the Committee that these amounts should not be paid. What they needed clarity on since the amounts have already been paid, is whether they should be recovered. And that is the principle they are currently working on. The Chairperson said they need to apply the same principles of recovering the money because even former President Jacob Zuma was made to pay back the money. They should use the same principles and do the correct thing. Dr Zwane said they have noted that matter and will do so. The Chairperson said in their Committee Report they will make recommendations and reflect the timelines as to when that money should be paid back. Dr Zwane replied about the Gazelles programme. In the 2015/16 financial the Auditor General commented on the irregularity in the procurement of the services. They then disclosed this in the financial statements of the following year which is reflected in the report, the R3m allocated to Dia Dynamics for project management. SEDA then asked for the condonation of the amounts used for the project itself and the delivery of the operational project. It was recently decided not to accept this request which is why SEDA had to reflect the full amount for the two cohorts of the project. Thus they are reflecting what happened in the previous financial years by disclosing it now as the AG said they should do that as that is still irregular expenditure according to the AG’s opinion. To resolve this, from April 2018 they decided to insource the Gazelles and run it under the SEDA Enterprise Development Division (EDD). They are now doing final reconciliations and closing up what was done on the two cohorts that are there. It should be remembered that the contract was that the paid cohorts in the pilot will be done over three years and it took three years to work on two cohorts. From April 2018 they are doing it internally going forward. Mr Chance asked why this project appears on the SEDA account and not on the Department’s account, is it because it was insourced this year. If the Department was paying for it the previous two years, why does it appear in SEDA’s account as irregular expenditure? Dr Zwane replied that the charges are transferred from the Department to SEDA, and SEDA paid the supplier directly. Mr Chance asked Dr Zwane to answer the question on the outcomes of the pilot project and lessons learned. Dr Zwane said he will ask Ms Majola to comment on that. Ms Ntokozo Majola, SEDA Executive Manager: EDD, said performance of the Gazelles programme itself is one of the slides the CFO has gone through. But on the general lessons learnt from the programme, one important thing they have learned is to profile the programme because the most important intervention the accelerator programmes requires is access to markets since most of the businesses are already running. The expectation was that as this is a government programme it will be easy for them to access business opportunities specifically within government. Therefore, what SEDA is working on now is to really profile the businesses especially those about to exit the programme because one of the challenges small businesses face is that when they approach individual government departments, the programme is relatively unknown and it is not really a priority programme. Secondly, they have learned that the grant processing is very important as most of the small businesses are at a stage of development where access to equipment and technology is key as opposed to softer interventions. That is something SEDA is correcting together with the Department. And DSBD is finishing the processing of the grants which SEDA has already submitted to DSBD before the grant is brought into SEDA. The rest of the grants especially the last cohort will be processed by SEDA. DSBD will give them the funding and they will process the grants inside SEDA just as they do in the technology transfer fund. Thirdly, the grant should not be the prominent thing when they recruit, but rather the grant should host their businesses. Once they come into the programme some of the small businesses focus on the grant as their interest and have a feeling of entitlement. SEDA has corrected that mind-set as well. Dr Zwane replied that the BEE status is work in progress. They were surprised by the way they were evaluated to find out that there were lot of gaps they needed to bridge in order to get a very good score. So they are going back to improve on that, and it is primarily work in progress. They want to use that as a way of encouraging private sector to work with them. Mr Chance said without that, SEDA would not receive its stakeholder regime, but with it SEDA can double its income. But the bottom line is SEDA needs to show results. Dr Zwane agreed and getting the BEE status is a focus of the board - that they need to obtain that as quickly as possible. Mr Chance asked if SEDA feels it gets cooperation from the Department of Trade and Industry (DTI). Is DTI putting up unnecessary obstacles before getting this BEE status? Ms Mandisa Tshikwatamba, SEDA CEO, replied that DTI did give support because at SMS level DTI was working with them initially before SEDA got into the deep of verifications. In coaching SEDA, DTI was taking what SEDA wants to achieve seriously. DTI does understand what they want to achieve and why they want to achieve it. But they were taken by surprise – and it is something they are working – SEDA received scores of around 50%, but with that score they could not get to Level 8. They asked DTI for a detailed analysis of how it arrived at that score. DTI explained that it is because of SEDA’s classification as a financing agency. Being rated as a financing agency affected the score. Beyond that they also have continual discussions with DTI to see if they can get some kind of exemption in other areas, such as socio-economic development. For them to gain that score it’s going to be an uphill because the nature of them being who they are it’s not a simple thing to make that contribution since it is a contribution that will improve sponsorships to community based organisations, etc. And on the other side, there is National Treasury regulation that states that they may not get sponsorships. So, even if they do some work in community based organisations it will not be that, it will be something else in terms of their scope, but she was just using that as an example. Therefore, they are having those kinds of discussions as they are repackaging themselves with the lessons they got in the first year round of verifications. Mr Chance said that the BEE scorecard was not designed for government agencies. It was designed for the corporate sector or private sector to measure transformation. It is senseless for SEDA to be battling with this process. He suggested that SEDA speak to Trade and Industry Minister Davies and ask him if there should not be a change or amendment in the BEE regulations to make provision for government agencies to support small businesses. It is laughable that SEDA is not at Level 8 BEE status and they need to put more effort into this matter. The CEO replied that they are happy with that suggestion as they have even suggested that SEDA should be exempted from this because the greatest percentage of the budget goes to enterprise development. The Chairperson said that it is a hindrance to SEDA, it posed a challenge. SEDA should be partnering and have more resources at its disposal, and it is something that needs to be resolved by political principals. Dr Zwane thanked the Committee for the suggestion. They had been compiling a draft proposal for an exemption which they were not going to get. Dr Zwane explained that the Learning Academy is an existing structure and is situated at their headquarters. Ms Majola replied to the criticism about whether SEDA is serious about cooperatives. The 872 cooperatives supported is the annual total for 2017/18. She agreed that the number is low; however, it should be noted that regional facilitators year on year did not work only on cooperatives that SEDA is reporting on in that specific year. This is because they already have other cooperatives that have been assisted in the prior years. For example, last year they had about 540 cooperatives. Some in this prior year still receive some support but they are not included in the report because they have been reported on in the previous year. It also should be indicated again that the number of jobs has declined because the jobs created by cooperatives are low in the sense that cooperatives are owner driven. They need to find a way when reporting to show how many people are members of a particular cooperative. In addition there would be cooperatives where people who are not owners are employed as workers. Most cooperatives have more owners than employees, and perhaps SEDA can report differently to show both. The Chairperson said that SEDA is actually intensifying the development of cooperatives. The answers given do not demonstrate a clear understanding of the difference between an SMME and a cooperative. Cooperatives are not SMMEs, cooperatives are the strategic pillar chosen by the ANC to transform the economy and facilitate the establishment of sustainable communities and to ensure that workers owned the means of production and communities have community enterprises. The mind-set has to change so that everyone understands what cooperatives are. SEDA’s mandate is not to develop cooperatives but to transform the economy through the establishment of cooperatives, and that is the understanding they all need to have. They will revisit this because this approach of developing and assisting cooperatives is not working and it is not going to work. It does not relate to what the ANC wants to achieve through cooperatives. Deputy Minister Mathale said that they must note what the Chairperson has said. SEDA should not leave it hanging because if they do – when they return, they will be where they are right now. Therefore, SEDA will note the point made by the Chairperson and when it returns, it will respond to it and to all the other concerns raised by Members. The Chairperson thanked the Deputy Minister and Minister (who arrived late) for appearing before the Committee. Ms Hlonela Lupuwana-Pemba, SEFA board chairperson, introduced Ms Tumi Sefolo who is the new Executive Director of Lending at SEFA. Ms Lupuwana-Pembe said that South Africa’s economic activity remained subdued with the GDP growing at only 1.3% in 2017. All broad economic sectors in the economy have registered lower production levels. Access to finance for SMMEs and cooperatives, in particular, the informal and microenterprise sectors, remained one of the key constraints to building a vibrant and robust SMME sector in South Africa. SEFA delivers in line with its strategic mandate, despite the tough economic conditions, to respond to the establishment, survival and growth of SMMEs and cooperatives as well as to play a catalytic role in crowding in key financial players that provide financial support to SMMEs and cooperatives. This financial support contributed to the facilitation of over 54 000 jobs. ▪ High loan impairments as a result of non-adherence of funded clients to their loan obligations; SEFA had to build a Direct Lending loan programme with inadequate systems, skills and capital base. ▪ The adverse economic environment, which impacts on the performance of the SMME sector, and consequently, the quality of SEFA's loan book. In execution of its mandate, SEFA is confronted with the dichotomy of balancing organisational financial sustainability with increased developmental impact. The majority of SEFA clients are in the start-up phase and lack business sophistication and loan collateral to cushion the risk. SEFA had recorded six years of unqualified audits. Governance remains stable. The Board provides strategic leadership and guidance, whilst delegated authority is given for execution to management in line with Section 56 of the PFMA. It oversees the performance of senior management. Board appraisal is done once a year through the Institute of Directors in Southern Africa. A formal shareholder compact is concluded annually between the Executive Authority and the Board. The Board meets the Minister on a quarterly basis. SEFA has maintained its active approach towards managing both current and emerging risks through the continued operating effectiveness of its Enterprise Risk Management Framework. The risk management philosophy is premised on higher risk appetite, which is aligned to SEFA’s developmental mandate. SEFA has a lending model which has three categories: direct lending, wholesale lending and the Credit Guarantee Scheme. SMMEs and cooperatives can access SEFA funding through any of the three lending channels. SEFA has around 82 access points throughout South Africa. SEFA’s main business and funding activities and targeted ownership groups were outlined (see document). - Own contribution dependent on entrepreneurs financial ability. SEFA challenges are that the macroeconomic environment remains unfavorable to business in general and small businesses in particularly are hit hard. Less than anticipated level of approvals achieved can be mainly ascribed to the general subdued level of economic activity, and by implication demand for SEFA loan products. Approvals to productive sectors of the economy remained below target as a result of weak demand. Disbursements to township based enterprises and entrepreneurs with disabilities remained below desired levels on the back of few submissions of viable business proposals from these designated groups. Impairments remained above targeted levels following payment delays from existing clients. The Chairperson commended SEFA for its improvement on the report. She appreciated the presence of the SEFA board chairperson. This report from SEFA will be included in the Committee legacy report because they can see that SEFA has executed its mandate in support of the strategic plan of the Department of Small Business Development (DSBD). Mr Chance welcomed the presentation from SEFA. The former SEFA management had been exorbitant in dishing out cash and loans and that has come back and hurt the entity. But he is very happy to see that the current management is taking a sober view of the role that SEFA plays in the funding space. Mr Chance asked where loan finance sits in the broader hierarchy of funding small businesses particularly start-ups. He would argue that it is inappropriate as whole to be lending money to start-ups because the performance of SEFA will always be challenged between its developmental mandate and the commercial imperative, which are fundamentally in opposition to one another. What SEFA needs to do in its review is to ask itself how it can play a role in redressing the inequality of the past by relying less on loan finance and more on a combination of grant and support. If SEFA takes that route, its loans would reproduce further in the short term. Most businesses use equity finance when they start not debt, debt comes later. Why give loans to start-ups and load them with debt because you are killing them before they get off the ground? Mr Chance noted on page 15 that there is a decline in approvals but an increase in disbursements. Approvals have eased over time as demand slowed following weak macroeconomic conditions. Rising disbursements, particularly in recent years, is evidence of SEFA’s countercyclical role as a result of investments made in intermediary organisations. He asked what the lessons are to be learned from this. He noted that township based business targets were not achieved by SEFA. What is SEFA doing to remedy that? Are there any plans to achieve those targets for township based businesses? Mr Chance asked about the role of SEFA in the 2018/19 start-up fund and how they intend spending the money. Mr Chance advised the new Executive Director of Lending to develop relationships with retail managers so that she can understand the market and the value chain for start-ups to grow. Mr H Kruger (DA) commended SEFA for doing well in Mpumalanga province. He noted that Gauteng is number three in terms of disbursements. He asked why SEFA is not active in rural areas because that is where entrepreneurs need more money for their businesses. He asked if there is a reason SEFA does not do business with cooperatives because page 16 indicates that cooperatives registered a low disbursement number compared with SMMEs. Ms Lupuwana-Pembe replied about whether it is sustainable to fund start-ups purely with debt, saying that there is a case to be made for blended finance for start-ups particularly for the reason of sustainability. But this is a policy question which needs to be addressed and it is something they have discussed at length as a board. They intend to engage DSBD because they have documented all these lessons over the past years particularly on direct lending. However, it is a matter which needs to be looked at in terms of policy on how to address start-ups given their vulnerability as well as sustainability within the first and second years of the business operation. Ms Vuyelwa Matsiliza, SEFA Executive Manager: Wholesale Lending, replied on lessons learnt about disbursements. In the past two years in wholesale lending, when their intermediaries commence paying the capital they have a lower income base going forward, and that reduces their ability to on-lend to their SMMEs. What SEFA has done is to introduce instruments, such as revolving loan facilities, where after paying a certain portion of the funding and - depending on what they have agreed on, the intermediaries can draw down on SEFA facilities for the five-year period. SEFA gives them much more leeway. The other part is that they have encouraged their intermediaries to also invite private funding and donor funding so that SEFA does not become the only lender, which helps them in growing their books and revenue streams which enables them to be sustainable. The key lesson learnt is that if the intermediary is weak, then it is difficult for the intermediary to provide a business development support as well as post -investment monitoring in a rigorous manner as it would be if they had a strong balance sheet. As they grow into financially sound institutions they are able to on-lend to their SMMEs and are able to recycle the funding because they get the financial flows and so can lend to more SMMEs. Ms Rosheketswe Ralebepa, SEFA Acting Chief Executive Officer, replied about the establishment of the SME Innovation Fund in 2018/19. They have finalised the terms of reference and there will be collaboration between DSBD, SEDA and SEFA. It is going to be ring-fenced for wholesale lending and it is because of the lessons learnt in that area. They have shown that the wholesale lending model is more successful in capping impairments. It is not only in the capping of impairments but the reach of the wholesale lending model is much wider than the direct lending model and it gives them quite a lot of numbers. The Fund is now in a process of implementation and it has been approved by the three parties. On township business investments, Ms Rosheketswe agreed they have not made a lot of inroads there, but in the current year there will be initiatives targeting the townships. This financial year they are putting plans in place to turnaround that situation. Mr Alroy Dirks, SEFA Head of Strategy, replied that definition they use for classification is the national definition as per the Municipal Demarcation Board (MDB). What they have done is look at how the country is sub-divided in terms of cities, townships, urban areas and rural areas. They have used that definition as a basis for measuring the indicator, using the business address. The address from where the business is operating will be the measurement indicator for SEFA when an application is made by the business operator. They have classified the whole country into those different areas as per MDB classification and the SEFA database runs according to those principles. Mr Chance asked if the Department of Science and Technology will also be partnering in the Innovation Fund as this is not mentioned in the report. Is there any relationship with the CEO Initiative, a R1.4bn private sector SME fund, that was announced by then Minister of Finance in 2016? Mr Chance asked for an update on township industrial parks and the extent of evaluation of the balance sheet of those township industrial parks because this fell within the developmental mandate of SEFA. Ms Lupuwana-Pembe replied to the question about SEFA not supporting cooperatives, saying there are areas of definite underperformance. The Board had identified cooperatives, township economies, and persons with disabilities. The Board has sent executives to look at those specific areas so they can correct the situation. The Super Grand matter was a huge awakening for them and they had to learn lessons in terms of how they support cooperatives given the limited skills that they have in SEFA in the support of cooperatives. But there are new programmes she could speak to particularly the Khula Guarantee Scheme which is captured in the success stories in this presentation. Ms Lupuwana-Pembe replied about the board’s decision on properties. There is a plan approved by the board depending on the sustainability of the properties and where the properties are located. The Acting CEO can talk to this because it includes the disposal of the properties but there are different categories of these properties. The Acting CEO replied about township industrial parks that Mr Chance is correct that there are discussions on the appointment of the negotiator and SEFA is in that process of appointing a negotiator. The reason they are doing this is based on lessons learnt. It should be recalled that they have a proven model in terms of Lesedi where there was a transfer of property to the Lesedi Tenants Association where SEFA entered into a sale agreement with the Tenants Association for seven years, and this proved to be a very successful model. The property and title deed has been transferred to the Tenants Association. But one of the lessons learnt during the transfer to Lesedi Tenants Association is that cooperatives need a lot of support in managing properties. SEFA was really able to transfer those skills. One of the reasons they are appointing a negotiator now is to ensure that the tenants are properly corporatized and they will give them the proper skills in corporatizing them and the pros and cons of each action. The negotiator will not just negotiate the price but will also ensure that the beneficiaries are real beneficiaries of the original association. The Board Chairperson has already confirmed that there is an approved framework for the sale of properties. At this point they are not able to disclose what it is because obviously it is in the negotiations phase. But there is an approved framework for the sale of properties and why they need an external person as a negotiator is to assist with negotiations because there has been a deadlock between SEFA and the association. The Acting CEO replied about the Innovation Fund that Mr Chance is correct that the Technology Innovation Agency (TIA) will also receive a fair share of the Innovation Fund. The funding made available from the approved Innovation Fund is not only going to come to SEFA but there is a 40% allocation to TIA. Ms Lupuwana-Pembe replied that as already mentioned by the Acting CEO there are lessons they have learnt from cooperatives, especially in the rural communities and they believe that they are at a point now where they are implementing the projects because SEFA has not been a project financier, SEFA is a loan financier. So, they did not have the instruments that are appropriate for project finance and did not have structures that are appropriate for project finance communities. Part of it is about social mobilization and project management. Now they have a dedicated project manager that actually works with the community. They also have a responsibility of ensuring that they have larger social and human capital as well as indigenous knowledge that resides in those particular communities. And in this particular financial year they have spent time with the implementation of the three programmes: poultry programme, the farming programme and the waste recycle programme. But in particular in the past financial year they came across a very interesting programme that was initially started by other players in government, which is called the sustainable cotton cluster programme. The team is working very closely in the value chain and they had a relationship that came through the Mr Price Group because Mr Price Group wants to sell clothes that are Proudly South African. So, the Mr Price Group is supporting the value chain and providing through their financing partner funding to smallholder farmers that have created 22 cooperatives in Nkomazi. Those 22 cooperatives comprised of about 752 smallholder farmers. And the SEFA intention is that they double the hectares that is planted in the next financial years and also double the smallholder farmers participating in the programme. They believe that with strong partners they can leverage finance and they can use a multiple of instruments that actually support both the private sector and SEFA to be able to carry out its mandate. Mr Chance asked with regard to Nkomazi whether MEGA is also involved and on board in this project. Ms Lupuwana-Pembe replied that MEGA is not one of the participants currently, but they are working directly with the sustainable cotton cluster which is a dedicated programme, and the Mr Price Group and other players like the smallholder farmers. The Chairperson asked why that information is not in the presentation. Ms Lupuwana-Pembe replied that information is in the main report under Khula Guarantee Scheme and is one of the case studies they are busy with. The Chairperson said the Portfolio Committee wants SEFA to talk about their success stories, which projects they have supported, how sustainable those projects are both financially as well as human capital. Why is SEFA doing a disservice to itself by not indicating the projects they are doing and supporting. This report indicates that SEFA is not doing much in terms of cooperatives and the Board Chairperson has confirmed that. Why are they not reporting on the exciting stories they are doing? Mr Cassel Mathale, Deputy Minister of Small Business Development, said that probably the SEFA Board Chairperson should have gone through the full length of the presentation, not just summarised some of the slides as there are case studies towards the end of the presentation. They are projects that have been funded by SEFA. These cases are also reflected in the Annual Report from page 41. But they take the point and in future they will ensure that the body of the presentation should reflect on the success stories. The Chairperson said that it important for SEFA to showcase, market and talk about its success so that the general public know the work SEFA is doing in communities especially in rural communities. Training of cooperatives should be provided because development of cooperatives to be sustainable businesses starts with training for them to understand the dynamics of the market and value chain. They need to think in a different way and if a person is not performing as expected the first option is to up skill that person rather than to say that person must go back and sit and not produce any results. The Chairperson thanked SEFA, the Deputy Minister and the Minister (who left early) for appearing before the Committee. As a Committee they can see the improvements and appreciated the spirit of cooperation, and also the fact that the SEFA Board was very firm and wanted to see results, which is what the Committee wanted to see from the Board, that is, providing direction.